Ok… so now I am moving on from the flowers in my back yard to the reason I planted all these blooming plants, and that’s so I could hopefully do a better job in photographing butterflies this year. Never had much luck with butterfly photography but with the cool wet summer here in Madison Indiana, which led to a profusion of blooming plants, I was able to really get out and try my hand with this very challenging aspect of macro photography. Thankfully I have come across two really great places to photograph these little flying flowers. One is this great field not far from my home that has been planted with an incredible bounty of wildflowers by the State Highway Department and the other is even closer my backyard !! I will post pics of the wildflower field in later posts and thought I would just post pics of the butterflies in my yard for now. 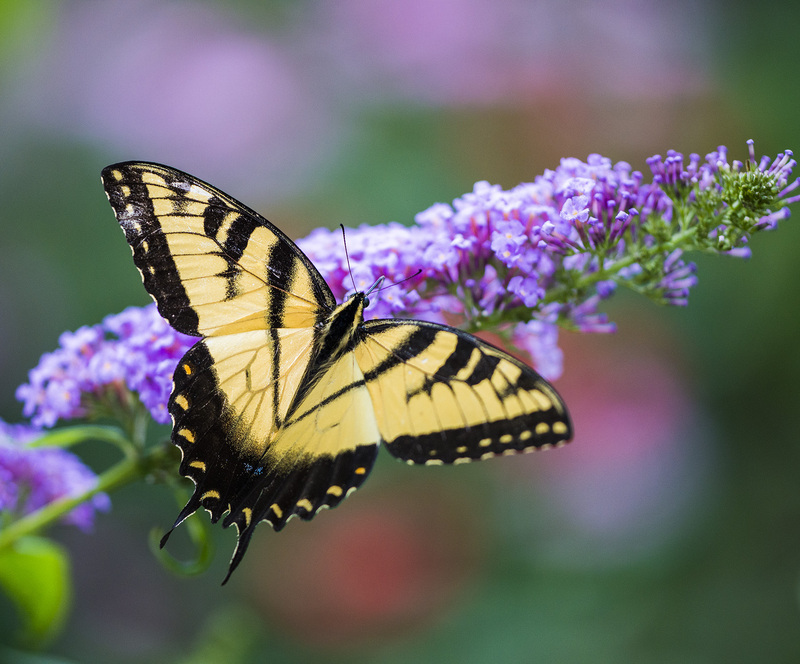 The thing which has really brought the butterflies into my yard this year has been the great bloom my Butterfly Bushes have undergone. I have never seen them bloom like this before and they have attracted everything to them Hummingbirds,Bees,Moths and many other nectar loving insects have used these bushes as a food trough along with other insects looking for that free dinner that gets too close to its webs or claws!! 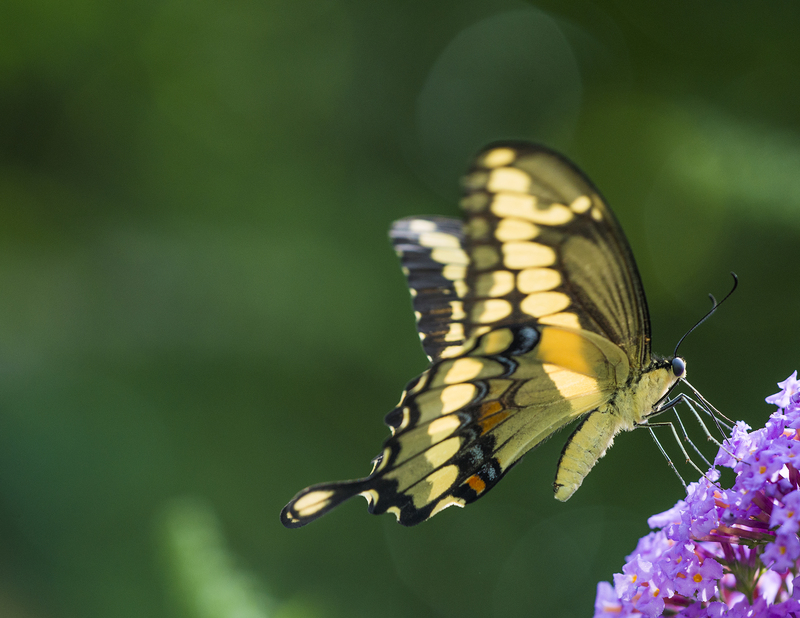 Here are a few shots of the butterfly that I have photographed the most lately and that’s the Tiger Swallowtail, it’s seems like these gentle giants have had a very good season in terms of survival and numbers and they have become my number subject so far. 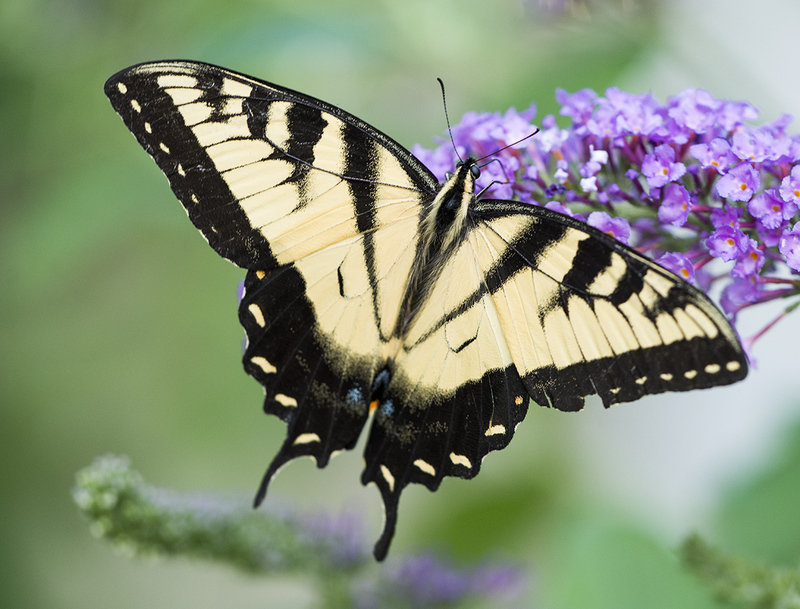 I hope you enjoy the images and if you happen to be near a butterfly bush don’t be surprised if you don’t come across a few of these wonderful creatures. Thanks for stopping by and taking a look ! !